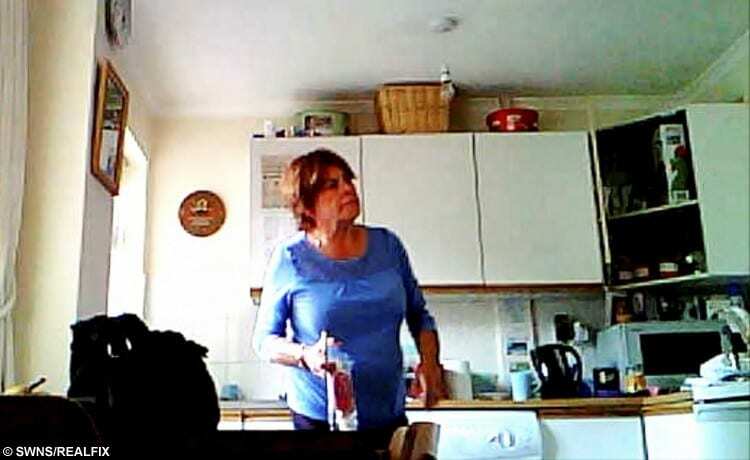 This is the shocking moment a woman brings an iced lolly to her neighbour with dementia – before stealing cash from her purse and stuffing it inside her bra. 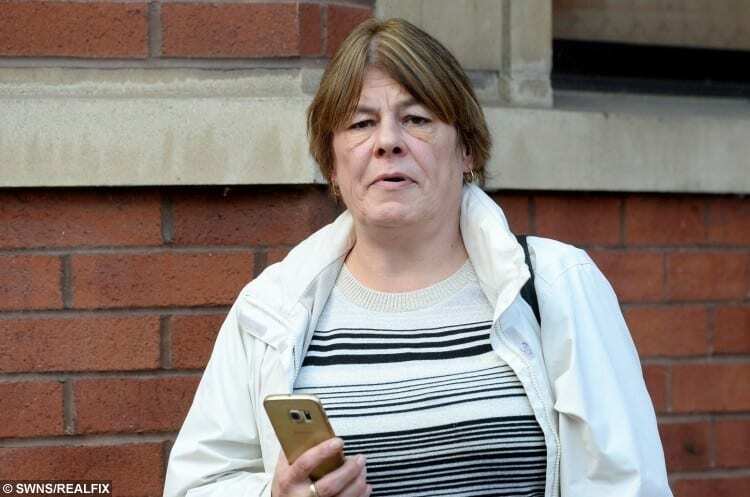 Amanda Donnelly, 55, pretended to be a good neighbour to Patricia Bent, 76, but abused the pensioner’s trust to steal from her on four different occasions. 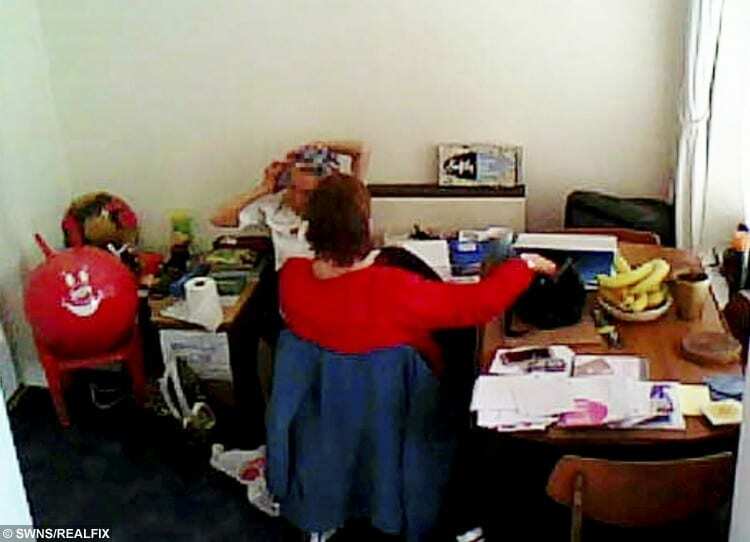 Mrs Bent’s son Mark, 54, became suspicious after cash he gave to his mum each day for groceries started disappearing so he set up a secret camera hidden in a pill box. Days later he caught Donnelly entering the back door of Mrs Bent’s home in Syston, Leicester, with two strawberry lollipops. After sitting down at the table, Donnelly is seen reaching into the pensioner’s bag and rifling through it while she casually chats to Mrs Bent. Moments later Mrs Bent leaves the room to answer the phone and Donnelly is seen stuffing the notes into her bra. Donnelly, who lives opposite Mrs Bent’s bungalow, then tells the pensioner she will see her the next day before leaving. On Thursday (20/10) Donnelly admitted stealing a total of £70 from Mrs Bent on four different days when she appeared at Leicester Magistrates’ Court. The court heard she stole the money on June 1, June 2, June 7 and June 9 this year. Donnelly was spared jailed after the court heard she was suffering from Post Traumatic Stress Disorder after being the victim of a robbery herself. Chairman of the bench Paul Tilley gave Donnelly a four-month prison sentence, suspended for a year. He ordered her to give Mrs Bent the £70 back and to pay her £300 for the emotional damage caused by the thefts. She also has to pay a £115 victim surcharge. 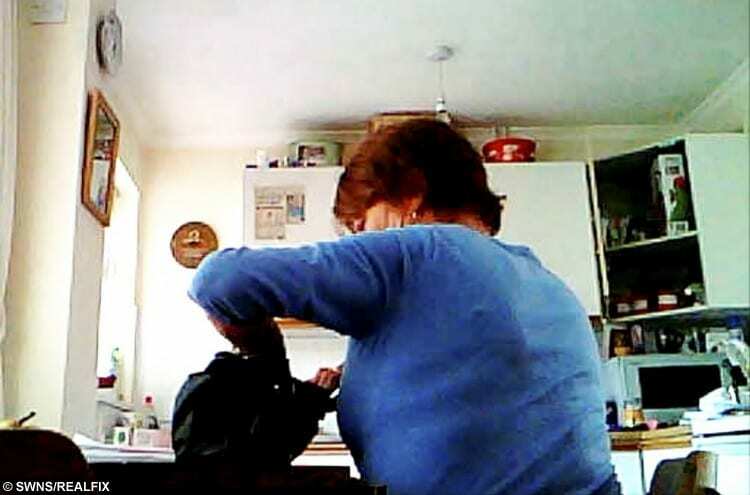 Donnelly was also slapped with a restraining order banning her from contacting Mrs Bent and her son, including visiting the her home, for five years. Prosecutor Sukhy Basi said: “Mr Bent suspected Donnelly had taken the money. “His mother appeared to be in the dark, not sure where the money was going. After she was caught on the camera, Mr Bent showed the footage to police and Donnelly admitted her crimes. Sukhder Bisla, defending, said: “She was the victim of a quite violent robbery while she worked at a newsagent in February 2014. He said that Mrs Donnelly’s husband took control of their bank account because she was spending so much on alcohol. He added: “It was under these circumstances she committed this offence. After the case, Mr Bent, a chief manufacturing engineer and father-of-two, said: “This has broken my mother’s heart. “Because of her dementia it has taken me a long time to get it through to her what has happened. “She cried a lot when she realise what had happened. She thought Mandy was her friend and it turns out she has betrayed her in her own home. “I just don’t know anyone can steal cash from an ill old woman who she pretended to be friends with. “It will take a long, long time for mum to get over this but I am just glad I put a stop to it when it did. “The shock of it has made her dementia worse but we will rally round as a family and get mum through this. “This woman was only charged with stealing £70 but I know for a fact that my mum has lost more than £5,000 since she knew Mandy. “She is heavily in debt now and this woman is still living nearby. I don’t feel like justice has been done. Mr Bent handed in a six-page victim impact statement to the bench, part of which was read out in court. It said: “My mum worked as a cleaner until just before her 73rd birthday and had to finally give up due to being diagnosed with multiple dementias. “I took over as my mum’s carer once she was diagnosed. I also took control of her bank account. 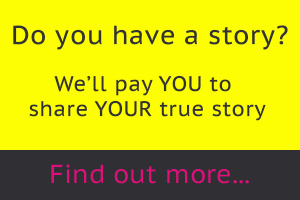 “It was around this time I first met Mandy in my mum’s house, bringing round a meal for her. “Mandy explained she was fully trained care worker and looked after lots of other old ladies in the village. “My mum and me just now want this horrible ordeal to be over today. “I am struggling to come to terms with why a person who lives in a nice four bedroom house with four cars on the drive has to steal cash from a 76-year-old lady with a heart condition, high blood pressure and multiple dementia and who has nothing of value.